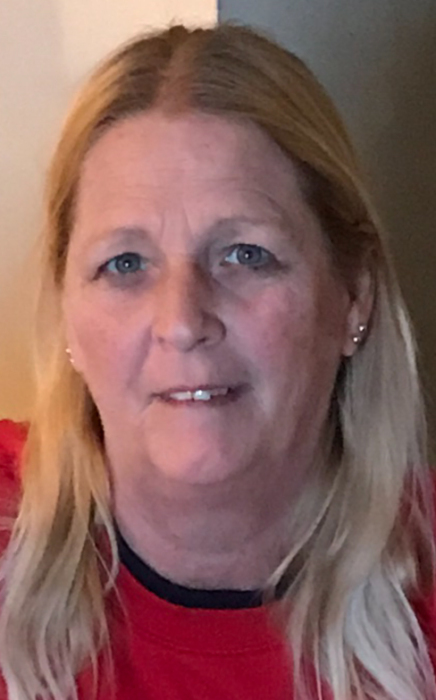 Marilyn Susie Howard, 61, of Lewisport, passed away on Tuesday, April 16, 2019 at the Heartford House surrounded by her family. She was born on May 13, 1957 in Owensboro to the late Joseph Robert and Mary Evelyn Rice Howard. She loved her beloved dogs Chloe and Molly. Susie loved to be surrounded by her girls, grandchildren, family and friends. She never met a stranger and loved the community she lived in. Susie currently worked at JJ’s Pizza and Century Aluminum for many years. She was preceded in death by her husband Larry Howard, brother Tony Howard and father in law Nolan D. Howard. Survived be her daughters Lori (Terry) Tuggle of Henderson, Amy (Nick) Severs of Hawesville; grandchildren Cameron and Devin Bradford, McKenzie, Hunter and Carter Severs. Also survived by her loving sister and brothers Debbie (Allen) Bickett of Philpot, Dennis (Lenora) Howard of Owensboro, Greg (Bonnie) Howard of Owensboro, James Lee Howard of Owensboro, Michael (Sherrie) Howard of Frankfort, KY; mother-in-law, Georgia Lee Howard of Owensboro and sister in law Jan (Mike) Martin of Burlington, Iowa along with several nieces, nephews and many beloved friends. Services will be held at 10 am on Friday, April 19, 2019 at Gibson & Son Funeral Home, Lewisport with burial following in Resurrection Cemetery. Visitation will be held from 2 pm until 8 pm on Thursday and from 9 am until service time Friday at the funeral home. Memorial contributions may be made to the Heartford House; envelopes will be available at the funeral home.